Paint the top of the lantern and allow to dry. 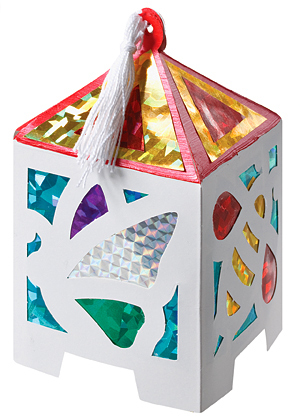 Cut Defraction Paper Shapes to fit over the cut outs and top of the lantern. 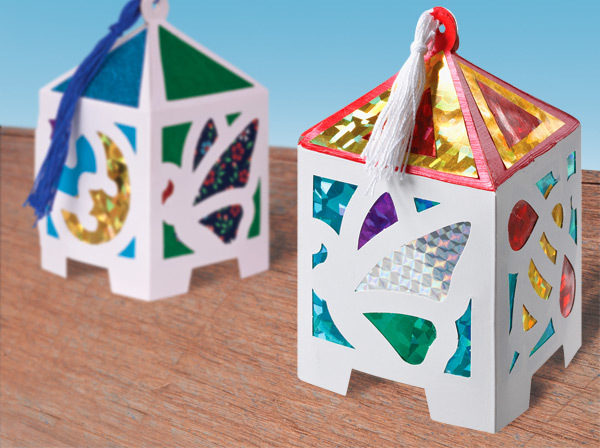 Create a tassel from the Perle Cotton and tie to the lantern.